Students heading to business school this year face a summer of required reading to get them up to speed on the five forces that shape every industry, or The Art of War and what 5th Century Chinese military strategy can teach you about leadership. But what if lessons in management came from the sports pages of the newspaper? We asked professors at some of Europe's leading business schools what techniques could be picked up from the 20 Premier League managers. 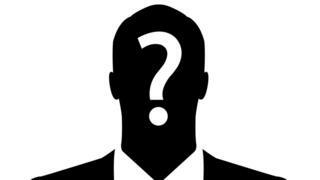 Here is part one of their tips, looking at the managers of the first 10 clubs, alphabetically. Part two will follow on Saturday. Two months into the new season Arsene Wenger will celebrate 20 years as the boss of Arsenal. 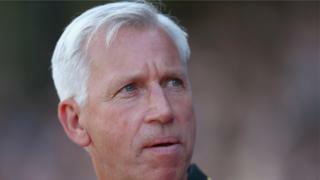 But has the longest-serving manager in the Premier League outstayed his welcome? Critics point to a lack of titles in the last 10 years, and are frustrated with the lack of big spending to keep up with rivals. But Wenger has consistently delivered Champions League football during his two decades at the club, and Daniela Lup, professor of employment relations and organisational behaviour at the London School of Economics, sees the key ingredients that are the hallmark of a long and successful career for any manager. "It is essential for a business leader to have an identity and reputation that others recognise in you, whether for good or for bad. 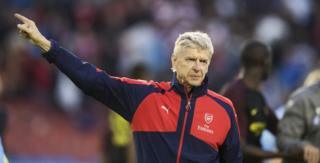 "Wenger is about consistency, building a team, and sound fiscal management. He is clear that his team will not win all the time, and if this is the only measure of performance he would fall short. But his approach is always in line with his identity, he nurtures talent and plays to people's strengths. "A great manager helps his team to find their best role, and Wenger did this with Thierry Henry and countless others. This generates great loyalty from his players, and delivers a top four finish every season." 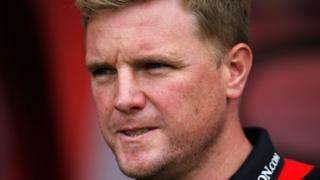 As the youngest manager in the Premier League, Eddie Howe has already received plaudits for his composure and attention to detail, ensuring that Bournemouth's first ever season in the top flight would not be their last. His determination to manage every aspect of the club extends to the motivational environment that he creates for his players. From the gym to the canteen, the walls are covered with inspiring quotes from sporting legends, including one from Muhammad Ali that reads, "What you are thinking is what you are becoming." For Sonal Minocha, pro vice-chancellor at Bournemouth University, Howe is not your "stereotypical" football manager. "He reminds me of Mahendra Singh Dhoni - the captain of India's cricket team - cool yet competitive," she says. "Eddie for me therefore represents the sometimes underappreciated, but equally successful, approach to leadership that could be applicable in business or frankly in any walk of life. "Business leaders are often stereotypically 'aggressive' - the larger than life character who dominates and dictates to achieve success. Eddie brings back the quietly confident leader to the fore and it is this intrinsic quality that has driven AFCB to the top." 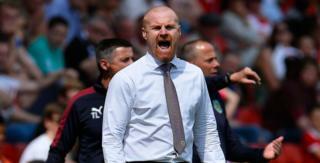 Sean Dyche's first experience in the Premier League two years ago saw the club being immediately relegated due to a lack of goals. Dyche was disappointed but not defeated. Using his experience and the observations of other successful clubs he began planning a return to the top flight with renewed ambitions. For Dr Ricardo Zozimo, lecturer in entrepreneurship at Lancaster University Management School, failure occurs often and plays a significant role in any entrepreneur's life. "The trick to successfully overcome failure begins with being able to distinguish what one thinks from what one feels." And he adds that entrepreneurs who bounce back from failure often do so by adopting a "learning mindset". "Failure is not a state, it is information, rich information about issues that can and should be developed. "Burnley's Sean Dyche is a very good example of this learning mindset. No revolutions in the squad, better training conditions, advanced planning of every moment of the season and strong focus of what could be developed. "They are now back in the Premier League after an impressive run of 22 unbeaten matches. The learning mindset pays off." 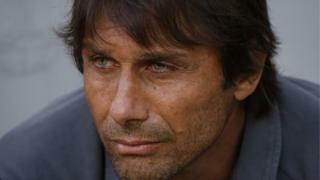 Italy may be the land of ice cream, but Chelsea players won't find it on the menu under new coach Antonio Conte. The obsessional perfectionist now in charge at Stamford Bridge believes that diet can make the difference between victory and defeat, and prescribes rhodiola rosea and goji berries as part of a balanced regime to keep energy levels high. And Conte bans fizzy drinks from planes when his team is travelling to an away game. But what will the highly paid stars at Chelsea make of a return to such a disciplinarian management style? For Prof Andrea Sianesi of the school of business at the Politecnico di Milano, Conte matches his passion for detail and tactical fanaticism with a communication style that is confrontational but also highly motivational. "The way in which he gets his message across is the key to his success. He uses simple words, his self-belief commands attention, and he is not afraid to say it the way he sees it. And the message gets through. "Players know that what he says is spot on, and they buy into his methods. By tapping in to their desire to win he achieves great results." The Premier League, more than any of the other top divisions in European football, is awash with foreign recruits. The idea that English clubs source their players from a national pool is as outdated as companies doing the same in big business. Despite being accused of xenophobia by Arsenal manager Arsene Wenger in the past, Pardew has successfully created an environment where players from Latin America, Africa, Asia and continental Europe worked well together to deliver a place in the FA Cup final last season. Prof Simon Mercado, director of ESCP Europe's London campus, draws the parallel with the business world where more and more companies are coming to understand the benefits of a truly diverse workforce. "Diversity not only reflects the balance of genders but also new ideas and new approaches that come from embracing other nationalities and cultures. "The secret, whether the leader is operating in sport or the wider commercial arena seems to be to recognise difference and get the best out of it, while still ensuring that everyone involved is signed up to a clear and transparent set of core aims and values." It's very fashionable at the moment in the business world for leaders to take a collegiate approach, to focus their efforts on building teams where everyone feels valued and able to contribute to the best of their abilities. But what counts in the Premier League is success. And if you can't deliver that you won't be in the top job for long, no matter how happy and engaged your people are. Ronald Koeman seems to understand both sides in very clear terms. As a child he was so dedicated to becoming proficient in his chosen sport that his mother got into the habit of throwing food to him while he endlessly practised. Fellow Dutchman Dirk van Dierendonck, a professor of human resource management at the Rotterdam School of Management, sees Koeman's role within a whole system. "Players need a leader who they respect, much like a general of an army where they trust his tactics. 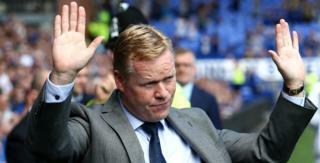 But Koeman recognises that he is part of a bigger picture in a club, with talent scouts and support staff that all play their part. Collectively they can get more out of their people." As we approach the new season, Hull City presents a significant management analysis challenge because, following the resignation of Steve Bruce, the club doesn't currently have a full-time manager. Mike Phelan is acting as caretaker manager. So can a club, or for that matter a company, carry on without someone in the top job? In the business world the idea of the "heroic leader", the big personality leading the charge from the front is very much out of fashion. Yet that still doesn't stop many large organisations treating their chief executives as if they were demi-gods and paying them accordingly. Perhaps it's time to question just how important it is to have someone "in control" and to ask whether many well-constructed organisational machines might actually run as well, or better, if left alone. It might seem outlandish to suggest that a football club could operate well without a manager to steer the ship - but perhaps there are lessons to be learned from the likes of DPR Construction, which operates without one single CEO, despite being one of the world's leading construction companies. With its model of shared leadership the firm has risen to be seen as one of the industry's most innovative and desirable companies to work for. The story of Leicester's unexpected success last year captured the hearts and minds of the football world. With a squad that cost a fraction of its big-spending rivals', Claudio Ranieri confounded conventional wisdom with an approach based on trust, a relaxed dressing room, and free pizza. For fellow Italian Andrea Masini, dean of the MBA Programme at HEC Paris, Ranieri's approach can be summarised in two words: focus and care. "It's his personal engagement and application of procedural justice models... that really makes his approach effective. "Tough decisions, such as excluding a player before an important match, are easier to accept if they are taken fairly and are properly motivated. "With his hands-on approach, players are more likely to push their limits during intensive training sessions if the manager leads by example and shares their pain. This approach reminds me of Napoleon sharing meals with his troops, and resonates with cohesion and the desire to achieve a common purpose. It's a great lesson for any manager. "When Leicester were at the top of the Premiership halfway through the season he kept the pressure off and told players to take one game at a time. With a complex project you need to develop a road map, so that the team just has to concentrate on the next step. 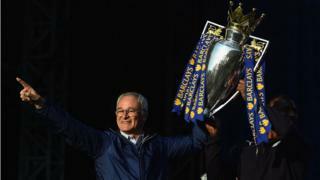 "Once they realised that avoiding relegation was within reach Ranieri released the pressure and told his players to have fun. Look how that turned out. You can only perform at your best if you truly enjoy what you do." A lot has been written about Jurgen Klopp's management style and his abilities as a man-manager and master motivator. But for Urs Mueller at ESMT Berlin, one of the key themes is his ability to create a "one for all, all for one" mentality. 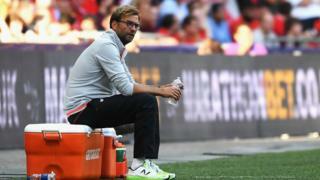 "Klopp wants Liverpool to feel like one big family - an organisational culture he successfully fostered at Borussia Dortmund where he won two league titles and the league and cup double. "In business there are parallels with individuals like Richard Branson of Virgin, who has always run his companies with a similar approach, trying to generate a communal organisation culture where people work together because they have not only a common objective but also because they like each other." One key to being able to pull this off, according to Mueller, is the leader's ability to project a self-image and vision that are so powerful that others are naturally drawn to them. "Charismatic leaders are frequently acting as 'transformational leaders' as they have the ability to fundamentally change an organisation to fit their own vision. Often they are brought in to improve the performance of a struggling organisation. In this respect Klopp fits the bill perfectly as Liverpool have been in a period of under-achievement over recent years." But, says Mueller, this leadership style risks both the leader and the organisation developing "tunnel vision", making them unable to deviate from an existing path, even if it's not working. And if an organisation is over-reliant on a leader, it will have a tough job replacing him when he moves on. Considered one of the greatest managers in football, Pep Guardiola arrives at Manchester City with a proven track record after filling the trophy cabinets at both Barcelona and Bayern Munich. In a game where the players are usually more famous than the coach, it is safe to say that expectations at the Etihad are high. For Prof Josep Franch, dean of Esade Business School, business leaders can learn from his ability to define a clear and simple vision for his team and then execute that vision. "Guardiola is very close to his players, and is a great role model who knows how to get the best out of everyone, from Lionel Messi to an inexperienced teenager. "His transparency and communication style set clear expectations for each individual as part of a team, and he expects everyone to follow that collective idea. "He observes and listens closely, but there comes a time when, as a leader, you have to stop listening and put your plan into action. That can mean making unpopular decisions, such as selling Ronaldinho when he was at Barcelona. "But Guardiola has developed the confidence that comes with success, and by sticking with the message he earns the trust of those that play for him." This is part of the BBC's regular series, Business Brain. You can read more here.